Sale Pricing on Furniture, Electronics, Appliances &more! Mattresses make all the difference in a great night’s sleep. Don’t suffer through another night on a not-so-great mattress. 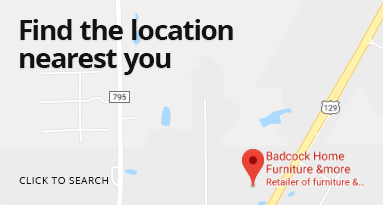 Come to Badcock Home Furniture &more, and shop our amazing mattress sale going on now. Come shop our amazing mattress selections that are on sale now, and find the perfect fit to upgrade your sleeping arrangement! From king and queen sets to power mattresses, we have what you need for a price you can afford. Browse our current mattress sale online or visit your local store today. Not sure which mattress best suits your needs? One of our friendly associates will be happy to help you find the perfect match for an amazing price. Don’t forget to ask about our in-house financing options. At Badcock, we make it easy to save on mattresses! The Elizabeth Smooth Top Hybrid is engineered to deliver deep conforming comfort, superior support and value. This series features a high carbon content "tempered" pocketed spring system, designed to eliminate motion transfer, and yet affords support, and conformability to the body's individual contours. Sophisticated heavy weight circular knit cover with natural Tencel fibers is used to enhance surface comfort, while soy-based upholstery grade foams and cool gel memory layers are layered with ascending support strategy. This group includes King mattress and 2 Twin XL Motion Essentials III Adjustable bases. The Elizabeth Smooth Top Hybrid is engineered to deliver deep conforming comfort, superior support and value. This series features a high carbon content "tempered" pocketed spring system, designed to eliminate motion transfer, and yet affords support, and conformability to the body's individual contours. Sophisticated heavy weight circular knit cover with natural Tencel fibers is used to enhance surface comfort, while soy-based upholstery grade foams and cool gel memory layers are layered with ascending support strategy. This group includes a Queen mattress and a Queen Essentials III Adjustable base. The Elizabeth Smooth Top Hybrid is engineered to deliver deep conforming comfort, superior support and value. This series features a high carbon content "tempered" pocketed spring system, designed to eliminate motion transfer, and yet affords support, and conformability to the body's individual contours. Sophisticated heavy weight circular knit cover with natural Tencel fibers is used to enhance surface comfort, while soy-based upholstery grade foams and cool gel memory layers are layered with ascending support strategy. This group includes Twin XL mattress and a Twin XL Motion Essentials III Adjustable base. The Emily Grace Super Pillow Top is state of the art design and technology. A quilted luxury pocketed spring mattress, the Emily Grace Super Pillow Top delivers deep conforming comfort and elimination of surface motion transfer. As a hybrid mattress, the thoughtful layering of high-density foam support layers affords maximum support and conformability. The addition of 2,040 Nano coils takes the Emily Grace to an entirely new level, with the Nano coils working in unison with other comfort layers for a feel that is nothing short of magical. This group includes King mattress and 2 Twin XL Motion Essentials III Adjustable bases. The Emily Grace Super Pillow Top is state of the art design and technology. A quilted luxury pocketed spring mattress, the Emily Grace Super Pillow Top delivers deep conforming comfort and elimination of surface motion transfer. As a hybrid mattress, the thoughtful layering of high-density foam support layers affords maximum support and conformability. The addition of 2,040 Nano coils takes the Emily Grace to an entirely new level, with the Nano coils working in unison with other comfort layers for a feel that is nothing short of magical. This group includes Queen mattress and a Queen Motion Essentials III Adjustable base. The Emily Grace Super Pillow Top is state of the art design and technology. A quilted luxury pocketed spring mattress, the Emily Grace Super Pillow Top delivers deep conforming comfort and elimination of surface motion transfer. As a hybrid mattress, the thoughtful layering of high-density foam support layers affords maximum support and conformability. The addition of 2,040 Nano coils takes the Emily Grace to an entirely new level, with the Nano coils working in unison with other comfort layers for a feel that is nothing short of magical. This group includes Twin XL mattress and a Twin XL Motion Essentials III Adjustable base. The Kathrine Euro Top Hybrid is engineered to deliver deep conforming comfort, superior support and value. This series features a high carbon content "tempered" pocket spring system, designed to eliminate motion transfer, and yet affords support, and conformability to the body's individual contours. Sophisticated heavy weight circular knit cover with natural fibers is used to enhance surface comfort, while soy-based upholstery grade foams and cool gel memory layers are layered with an ascending support strategy. This group includes King mattress and 2 Twin XL Motion Essentials III Adjustable bases. The Kathrine Euro Top Hybrid is engineered to deliver deep conforming comfort, superior support and value. This series features a high carbon content "tempered" pocket spring system, designed to eliminate motion transfer, and yet affords support, and conformability to the body's individual contours. Sophisticated heavy weight circular knit cover with natural fibers is used to enhance surface comfort, while soy-based upholstery grade foams and cool gel memory layers are layered with an ascending support strategy. This group includes Queen mattress and a Queen Motion Essentials III Adjustable base. The Kathrine Euro Top Hybrid is engineered to deliver deep conforming comfort, superior support and value. This series features a high carbon content "tempered" pocket spring system, designed to eliminate motion transfer, and yet affords support, and conformability to the body's individual contours. Sophisticated heavy weight circular knit cover with natural fibers is used to enhance surface comfort, while soy-based upholstery grade foams and cool gel memory layers are layered with an ascending support strategy. This group includes Twin XL mattress and a Twin XL Motion Essentials III Adjustable base. The Madeline Luxury Firm Hybrid is engineered to deliver deep conforming comfort, superior support and value. This series features a high carbon content "tempered" pocketed spring system, designed to eliminate motion transfer, and extra support, and conformability to the body's individual contours. Sophisticated heavy weight circular knit cover with natural fibers is used to enhance surface comfort, while soy-based upholstery grade foams and cool gel memory layers are layered with an ascending support strategy. This group includes King mattress and 2 Twin XL Motion Essentials III Adjustable bases. The Madeline Luxury Firm Hybrid is engineered to deliver deep conforming comfort, superior support and value. This series features a high carbon content "tempered" pocketed spring system, designed to eliminate motion transfer, and extra support, and conformability to the body's individual contours. Sophisticated heavy weight circular knit cover with natural fibers is used to enhance surface comfort, while soy-based upholstery grade foams and cool gel memory layers are layered with an ascending support strategy. This group includes Queen mattress and a Queen Motion Essentials III Adjustable bases. The Madeline Luxury Firm Hybrid is engineered to deliver deep conforming comfort, superior support and value. This series features a high carbon content "tempered" pocketed spring system, designed to eliminate motion transfer, and extra support, and conformability to the body's individual contours. Sophisticated heavy weight circular knit cover with natural fibers is used to enhance surface comfort, while soy-based upholstery grade foams and cool gel memory layers are layered with an ascending support strategy. This group includes Twin XL mattress and a Twin XL Motion Essentials III Adjustable bases. This King mattress features Designer upgraded fabric, Exclusive innerspring system features individually wrapped ventilated carbon steel coils, a high profile support system, Total Edge® Foam Encasement, Double Serta® COOL TWIST™ Gel Memory Foam, Serta® PillowSoft foam, Comfort XD foam, Serta® Pillow-Fill fiber and Comfort Right® Layers. This group includes a Twin XL mattress and 2 Twin XL Motion Essentials III Adjustable bases. This Queen mattress features Designer upgraded fabric, Exclusive innerspring system features individually wrapped ventilated carbon steel coils, a high profile support system, Total Edge® Foam Encasement, Double Serta® COOL TWIST™ Gel Memory Foam, Serta® PillowSoft foam, Comfort XD foam, Serta® Pillow-Fill fiber and Comfort Right® Layers. This group includes a Queen mattress and a Motion Essentials III Adjustable base. 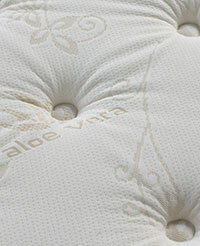 This Twin XL mattress features Designer upgraded fabric, Exclusive innerspring system features individually wrapped ventilated carbon steel coils, a high profile support system, Total Edge® Foam Encasement, Double Serta® COOL TWIST™ Gel Memory Foam, Serta® PillowSoft foam, Comfort XD foam, Serta® Pillow-Fill fiber and Comfort Right® Layers. This group includes a Twin XL mattress and a Motion Essentials III Adjustable base. This King mattress features Designer upgraded fabric, Exclusive innerspring system features individually wrapped ventilated carbon steel coils, a high profile support system, Total Edge® Foam Encasement, Double Serta® COOL TWIST™ Gel Memory Foam, Serta® PillowSoft foam, Comfort XD foam, Serta® Pillow-Fill fiber and Comfort Right® Layers. This group includes King mattress and 2 Twin Xl Motion Essentials III Adjustable bases.This King mattress features Designer upgraded fabric, Exclusive innerspring system features individually wrapped ventilated carbon steel coils, a high profile support system, Total Edge® Foam Encasement, Double Serta® COOL TWIST™ Gel Memory Foam, Serta® PillowSoft foam, Comfort XD foam, Serta® Pillow-Fill fiber and Comfort Right® Layers. This group includes King mattress and 2 Twin Xl Motion Essentials III Adjustable bases. This Queen mattress features Designer upgraded fabric, Exclusive innerspring system features individually wrapped ventilated carbon steel coils, a high profile support system, Total Edge® Foam Encasement, Double Serta® COOL TWIST™ Gel Memory Foam, Serta® PillowSoft foam, Comfort XD foam, Serta® Pillow-Fill fiber and Comfort Right® Layers. This group includes Queen mattress and Queen Motion Essentials III Adjustable base. This Twin XL mattress features Designer upgraded fabric, Exclusive innerspring system features individually wrapped ventilated carbon steel coils, a high profile support system, Total Edge® Foam Encasement, Double Serta® COOL TWIST™ Gel Memory Foam, Serta® PillowSoft foam, Comfort XD foam, Serta® Pillow-Fill fiber and Comfort Right® Layers. This group includes Twin XL mattress and Twin XL Motion Essentials III Adjustable base. This King mattress features Designer upgraded fabric, Exclusive innerspring system features individually wrapped ventilated carbon steel coils, a high profile support system, Total Edge® Foam Encasement, Double Serta® COOL TWIST™ Gel Memory Foam, Serta® PillowSoft foam, Comfort XD foam, Serta® Pillow-Fill fiber and Comfort Right® Layers. Group includes King mattress and 2 Twin XL Motion Essentials III Adjustable bases. This Queen mattress features Designer upgraded fabric, Exclusive innerspring system features individually wrapped ventilated carbon steel coils, a high profile support system, Total Edge® Foam Encasement, Double Serta® COOL TWIST™ Gel Memory Foam, Serta® PillowSoft foam, Comfort XD foam, Serta® Pillow-Fill fiber and Comfort Right® Layers. Group includes Queen mattress and a Queen Motion Essentials III Adjustable bases. This Twin XL mattress features Designer upgraded fabric, Exclusive innerspring system features individually wrapped ventilated carbon steel coils, a high profile support system, Total Edge® Foam Encasement, Double Serta® COOL TWIST™ Gel Memory Foam, Serta® PillowSoft foam, Comfort XD foam, Serta® Pillow-Fill fiber and Comfort Right® Layers. Group includes Twin XL mattress and a Twin XL Motion Essentials III Adjustable bases. The Jumbo Pillow Top II mattress has a Tencel® stretch knit cover with Verti-coil premium support system. Multiple layers of plush supportive foam, additional layers of high loft quilt foam and gel Memory Foam. The foam encasement edge support system has a chemical free natural fire barrier. This group includes the Queen mattress with the matching foundation. The Jumbo PillowTop II mattress has a Tencel® stretch knit cover with Verti-coil premium support system. Multiple layers of plush supportive foam, additional layers of high loft quilt foam and gel Memory Foam. The foam encasement edge support system has a chemical free natural fire barrier. This group includes the Full mattress with the matching foundation.